Located in Nipissing District, this hotel is steps from Water Tower Park and Grumblin' Granny's. Zurakowski Park is 0.3 mi (0.5 km) away. 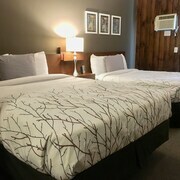 It's an easy stay that's just plain fun and so close to Alqonquin park. rooms are very warm in the winter. Where can I find hotels in Barry's Bay that are near tourist attractions? 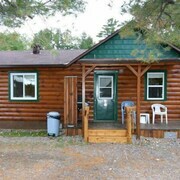 Researching accommodation in Southern Ontario, particularly in Barrys Bay? 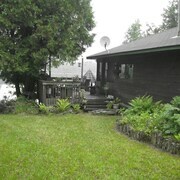 Barrys Bay offers 4 quality short-stay and long-stay options within 0.1 kilometres (0.1 miles) of the heart of town. 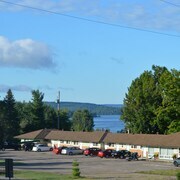 Some hotels that are near the heart of Barrys Bay are The Balmoral Hotel and Fortune's Madawaska Valley Inn. 14 kilometres (9 miles) away from the center of Barrys Bay, is the Spectacle Lake Lodge. 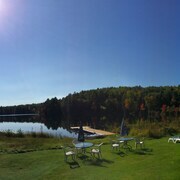 The Algonquin's Edge Resort can be found 20 kilometres (12 miles) away. Two more hotel options here are the All Star Resort and The Arlington Hotel - Hostel. After you have got to know Barrys Bay, why not tour a bit further afield? The Southern Ontario region has a number of things to offer tourists. Spend time at Southern Ontario's traditional villages, churches and art museums. Outdoorsy types should also take the time to to admire the region's beaches. Active travelers may enjoy skiing and cross-country skiing in this part of Canada. Located 90 kilometres (56 miles) to the southwest of Barrys Bay is Carnarvon, which has various hotels and apartments. 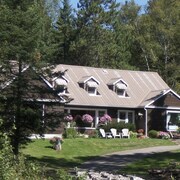 The 12 Mile Lake Bed and Breakfast and Heather Lodge are a selection of the options here. 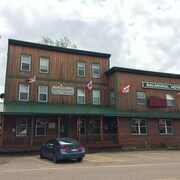 As a substantial city in this area, Haliburton has many shops and popular hotels, such as the Pinestone Resort and Conference Centre and Algonquin Lakeside Inn. The Haliburton Highlands Museum and the Rails End Gallery and Arts Centre are some of the places of interest in and around Haliburton. Travel 75 kilometres (47 miles) from Barrys Bay to get to Haliburton. Macdonald-Cartier International Airport is situated 160 kilometres (99 miles) from Barrys Bay. Should you wish to stay close by, you can easily secure a room at the Days Inn Ottawa Airport or the Holiday Inn Express Hotel & Suites Ottawa Airport. What are the most popular Barry's Bay hotels? Are there hotels in other cities near Barry's Bay? 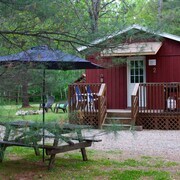 What other types of accommodations are available in Barry's Bay? Explore Barry's Bay with Expedia.ca’s Travel Guides to find the best flights, cars, holiday packages and more!